The first Dragon Quest game went on sale in Japan on May 27, 1986. To mark the occasion, Square Enix has registered the day as a holiday. 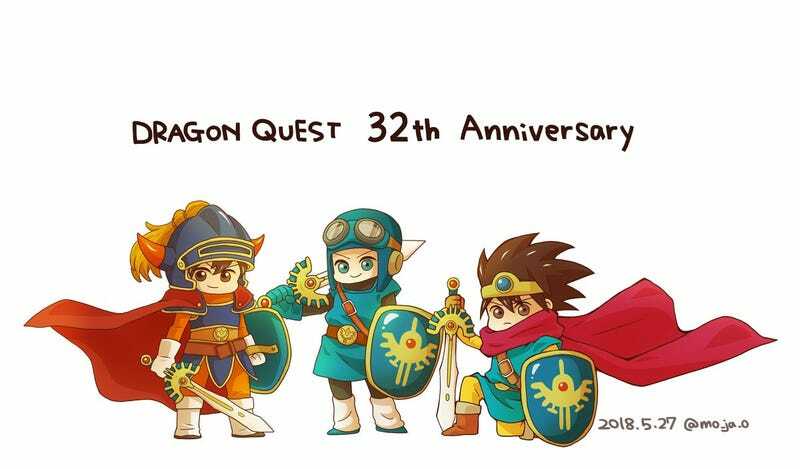 Yesterday, was Dragon Quest Day! It’s not a national holiday, though some might wish it were. As IT Media points out, Square Enix registered the day with the Japan Anniversary Association. So while it might not get employees the day off in Japan, the day is a good excuse for people to post fan art, photos and more to mark the anniversary.